The world’s economic centre of gravity is rapidly shifting towards the East. The Baltic Sea region can act as a bridge-builder between Europe and Asia. It’s time to start creating the zone for open optimism that offers an alternative for today’s exclusive nationalistic populism. The Baltic Sea region has a geographically superior location at the intersection of the East and the West. That is why it has often been given the role of a bridge-builder. The demand for bridges will increase as the industrial era institutions are challenged and the global economic centre shifts towards Asia. With this scenario, we wish to highlight the potential of the Baltic Sea region in a world marked by a shifting economic and political centre, global sustainability crisis and rapid technological development. This work links to Demos Helsinki’s Scenarios of the future of urbanisation in Finland report. It outlined the drivers and events behind urbanisation in Finland until 2039. There is no reason why the Baltic Sea region cannot fulfil its potential as a hub between Asia and Europe. The scenario has been created in cooperation with FinEst Bay Area Development Oy, which is designing the railway tunnel under the Gulf of Finland. We do not take a position on the Tallinn tunnel’s builders, building plans or financial base in the scenario. Instead, the scenario describes the significance of the region at the macro level in the midst of global forces of change. The end result is a description of what life in the Tallinn–Helsinki Metropolitan Area would be once the area has successfully realised its massive potential. The scenario suggests that 3.2 million people would be living in the metropolitan area in 2034. And Helsinki Airport would have changed its name to Eurasia Airport. A sustainable and prosperous future requires courageous actions. There is no reason why the Baltic Sea region cannot fulfil its potential as a hub between Asia and Europe. The countries in the region already promote education and the development of clean and ethical technology. Their governance is based on transparency, openness and democratic principles. We hope this scenario will help us see that no European company, city or nation is strong enough on its own to achieve a globally significant position. To become great, we have to break down silos. 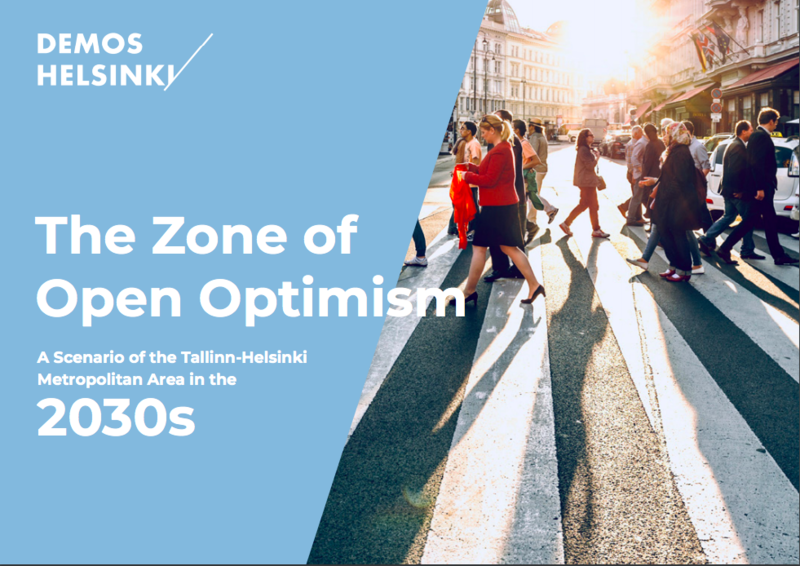 We need to design the future through shared, long-term goals for the entire Helsinki’s and Tallinn’s Metropolitan Areas, Finland, the Baltic Sea and Europe. How would the life be in Helsinki–Tallinn metropolitan area? Read more from our publication and contact the Urban Transformations team.